Nina Esaki is an Assistant Professor at the Springfield College School of Social Work in Springfield, MA and a Research and Evaluation Consultant to Andrus, where she was formerly the Director of Research for the Sanctuary Institute, the training and consulting home of the Sanctuary Model, an evidence-supported trauma-informed organizational change intervention. From 2010 to 2017, Nina built and led the research department within the Sanctuary Institute to collaborate with academic researchers to study the impact the model has on staff and clients. More recently, her research has led to further examining the critical role that leaders play in successful implementation of organizational change. 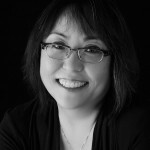 Prior to Andrus, Dr. Esaki was a Research Assistant Professor at the Ruth H. Young Center for Families and Children at the University of Maryland School of Social Work, where her responsibilities included evaluating the efficiency and effectiveness of the Maryland public child welfare system. Dr. Esaki is also a trainer for the Anti-Defamation League and a volunteer Big Sister. Prior to receiving her doctorate in Social Welfare from the University at Albany in 2008, she spent over 15 years in the corporate Human Resources field for companies such as Genzyme, EMI Music, and Dun & Bradstreet. Additional degrees include an MSW from Fordham University, an MBA from Columbia University, and a BA from The Johns Hopkins University.